Need to fix your credit score, or want more information about how scores are calculated? Get started with this guide. It's incredibly easy and tempting to simply be approved for a card, start spending, and think you'll deal with it later. But this can easily lead to debt and a low credit score. Fortunately, you can start changing these habits today. Improving your credit score now can save you thousands of dollars later when you’re offered better terms and rates on credit cards, loans, or your mortgage. The process of improving and repairing your credit won't happen overnight. By following these steps, you'll steadily work your way towards being debt free and improve your credit score in the process. Step 6: Don't Be Late! So what's the difference between a credit report and a credit score? It's simple. Your credit report contains all of the data that's used to calculate your credit score. However, in the course of calculating all that information, mistakes can happen, which brings up our first step. 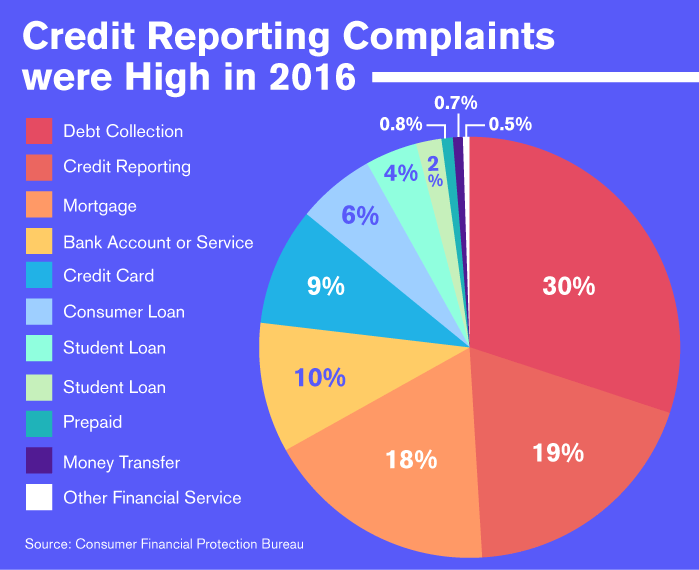 The FTC reported that up to 21% of customers have errors on at least one of their credit reports. 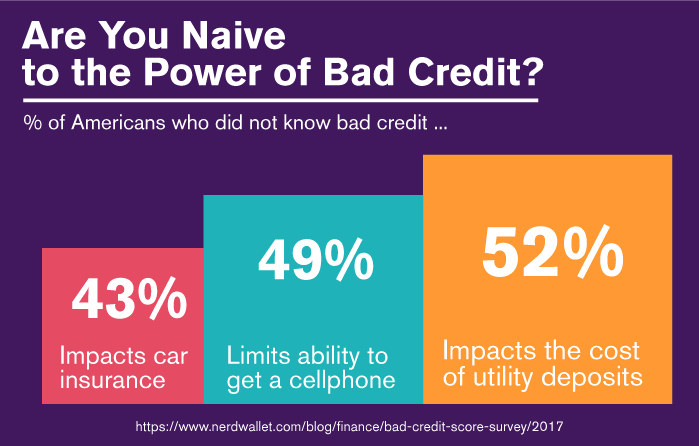 That's nearly a quarter of the American public that could be dealing with potentially lower credit scores (and paying more in terms of interest and fees) because of a simple error. The very first step in your credit repair journey is to get a copy of your credit report. To do this simply go to AnnualCreditReport.com and request a report. You can get a free copy of your credit report once a year from all three major credit reporting bureaus: Experian, TransUnion, and Equifax. You can get your credit score more than 1x a year. You don't have to request all three credit reports all at one time. You can space them out by requesting one from each bureau every four months. This way, you can actually see your credit score improve over time. And that's a great feeling. Here are some of areas you want to review. Check that your name, phone number, address, and any other identifying information is correct. A common mistake is having your credit report (and thus, your score) mixed up with someone else who has the same or similar name. This is known as a "mixed file." Your report might have many errors regarding your account information. There could be incorrect payment dates, accounts marked as closed even though they are open, or accounts that are in good standing mistakenly marked as delinquent or late. Look over this information carefully. Check the names of account owners and authorized users. Ensure that any debts and payments listed are correct and that the same debt is not listed multiple times by mistake. Also, keep in mind that if you’re getting divorced, remove your name from any joint accounts so you won't be liable for your ex's future debts. Check your credit report after the divorce is finalized to make sure none of these new debts crop up on your record. If you closed a credit card, make sure that your report does not show "closed by grantor." This means that the credit card company closed your account instead of you, which can negatively affect your score. Bad debts over seven years old should be removed by credit reporting companies as well, but this doesn't always happen as it should. If you've filed for bankruptcy in the past, the discharged debts shouldn't appear on your report either, although the bankruptcy will. What if my credit report doesn't have any errors? If you haven't found any errors on your credit report, that's great! Continue to request your annual credit report to be ahead of the curve. Errors can occur for many reasons, and it is vital that you look over your credit report completely and dispute any items that are incorrect. In the next step, we'll see precisely how to do just that. In disputing an item, you'll need to write a letter to the credit reporting agency (Equifax, TransUnion, or Experian) and tell them that you are disputing one or more items in your credit report. You'll then want to send your letter via certified mail with a "return receipt requested." This helps ensure that the credit reporting bureau received your dispute. Keep copies of the letter you sent and any items you enclosed. 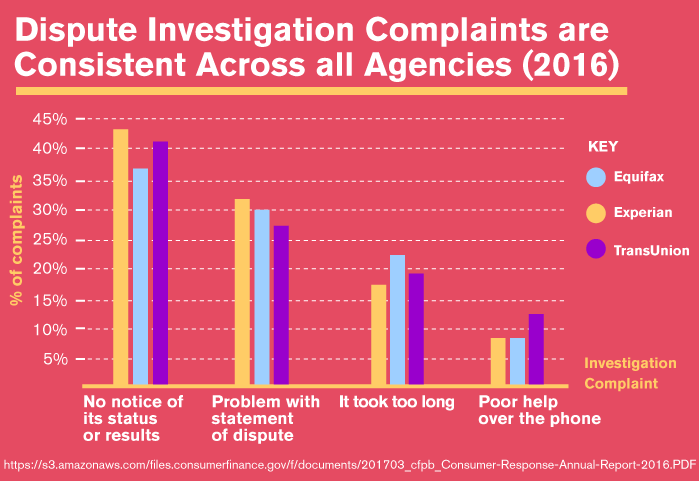 The credit reporting company must then investigate your dispute, generally within 30 days. If a company shared your financial information with the credit bureau, it too must investigate and report the results back. If it's found that the dispute is warranted and accurate, all three credit reporting companies must be notified so that the mistake can be fixed. After all of this happens, the credit reporting company sends you the results in writing. 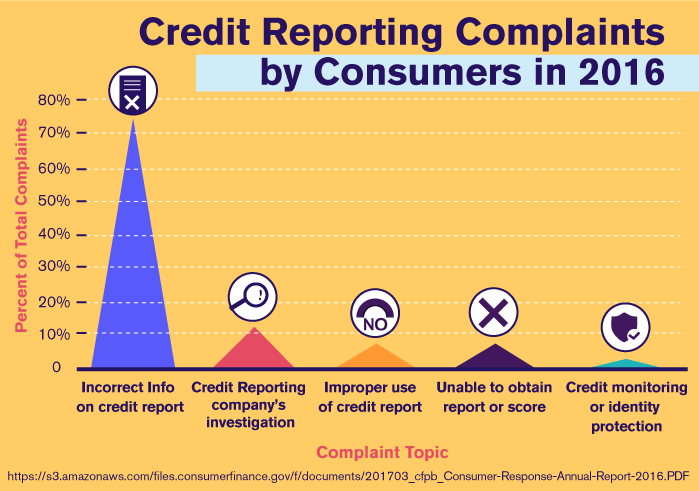 If the corrected dispute leads to a change in your credit score, the company also gives you a free copy of the report as well. This does not count toward the same yearly copy you're normally allocated. 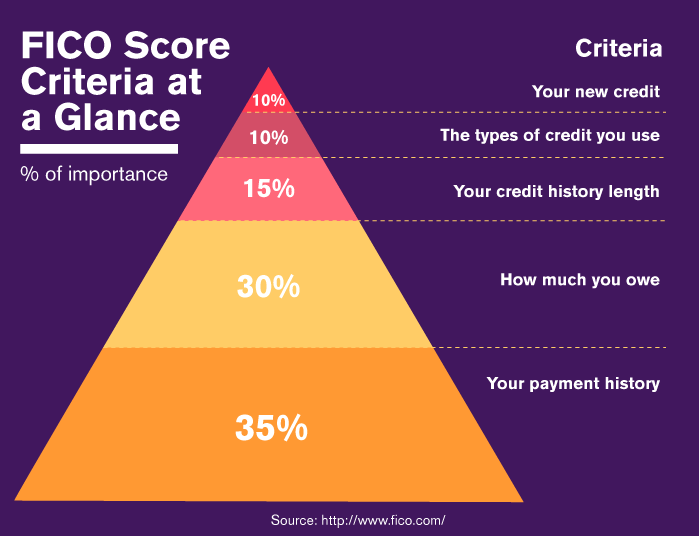 You have multiple credit scores, but the one that is relied on most by lenders and credit bureaus is your FICO score. Knowing how it is calculated also tells you the actions that improve or detract from your score. If you can focus on the big things that raise your score, which we've detailed below, you can make a measurable impact to increase it. So what really contributes to that number that you see on your credit report? 35% of your FICO score is based on your payment history. How timely were your payments? Did you pay off your balance each time or only pay the minimum? Ideally, you should pay off your balance entirely, but if you can't, paying more than the minimum will help you steadily nibble away at your debt and steadily increase your credit score. 30% of your FICO score is based on how much you owe. Carrying a lot of debt across several credit cards or owing nearly as much as your credit limit allows can cause your score to drop. Work on tackling your biggest debt first, and then after it is paid off, use the amount of money you'd ordinarily put toward that big debt toward the next-biggest debt — a process known as the "snowball effect." Over time, this will not only help you pay down high debt but will increase your credit score as well. 15% of your FICO score is based on the length of your credit history. Opening lots of credit cards or canceling them as soon as you pay them off (which sounds like a great idea in theory, but really isn't) can affect your FICO score. It's better to have fewer cards and keep the accounts open longer. This helps you build a more established history and helps give lenders peace of mind when considering your application. 10% of your FICO score deals with new credit. Did you recently apply for a car loan? A mortgage? A credit card? This is noted on your credit report and contributes minimally to your FICO score. 10% of your FICO score is based on the types of credit you use. Credit cards are not the only way to build your score. Having a variety of loans, from car loans to a mortgage, can diversify your credit portfolio and boost your score. Now that you know the most important factors that contribute to your credit score, you'll notice that the biggest chunks are your payment history and how much you owe. Therefore, it's important that you tackle those first. And with this guide, that's precisely what we're going to do. Set your cards to auto-pay and then leave them alone! Whether you use an old-fashioned calendar for this next step or you set up an alert on your cell phone doesn't matter. Do whatever you need to remind yourself when credit card payments are due and pay them. Pay as much as you can on your cards, consistently. Since the biggest contributors to your credit score are the amount you owe and your payment history, you'll want to pay as much as you reasonably can toward your cards on a regular basis. Take advantage of technology to pay down your debts. Most credit card companies make this process incredibly simple by letting you enroll in auto-pay. This lets you connect your bank account to your credit card, with an amount you determine taken out each month. Make additional payments if you can afford it. Don't wait for the company to mail you a statement. With most credit cards, you can even make additional payments online if you'd like (and this is recommended to pay down your balance faster!). But taking this step toward repairing bad credit also means that you have to leave your credit cards alone! Do not use them as a crutch to take on more credit card debt, or worse, use one credit card to pay down another. This simply begets a cycle of debt that can eat your finances alive and wreck your credit score if it's not handled properly. In time, this can also mean not being approved for a mortgage, a car loan, or any credit card. You don't want that kind of future for yourself or your family, so getting a handle on your debt today rather than letting it build and fester is a smart step toward reclaiming your financial independence. The next step toward improving your credit score is to decide how you want to pay down your debt. We recommend tackling the largest debts first. Understanding what revolving debt is and how it works. A big part of your credit score is based on your revolving debt (that's part of the 30% of how much you owe). Your revolving debt is debt that's hanging around on credit cards that aren't paid off yet. The smaller this number is, the better. Keep your credit card balance smaller than your available credit. Ideally, you want to keep your credit card balance under 30% of whatever your available credit limit is. To really improve your credit, keep it at 10% or less. That means if you have a credit limit of $1,000, you'd only keep a $100 balance on the card. Missing a payment (and being subject to things like penalty interest) doesn't happen if you have things like auto-payments and reminders in place, which you should have set up in step 3. But we get it — mistakes happen. Maybe you suddenly find yourself unemployed and simply unable to make that credit card payment. In this case, the last thing you want to do is stop making payments. Here's what you do. Call up the credit card company – explain your situation briefly. Ask them politely to remove the missed payment flag from your account. You have 30 days from the due date before the company can report that late payment to the credit bureaus. But don't wait until the last minute. As soon as you can start paying again, do so immediately. And always pay more than the minimum balance. This helps you avoid huge interest charges and also helps you make measurable progress toward paying down your balance. Taking these steps will help you begin to make a serious dent in your debt and improve your credit history. Taking these steps won't improve your credit immediately, but if you work on each one, then you will see it steadily grow higher over time, as long as you continue to pay down your debts and make your payments on time. But if you're looking to rebuild your score and you're having trouble even getting approved for a credit card, what can you do? Get a secured credit card. As we explained above, a secured credit card is one where some type of collateral — in this case, a pre-paid amount (usually around $300-500) is put on the card. This becomes your credit limit. You then receive a card with that amount on it. The difference between a secured credit card and simply loading a prepaid card is that a prepaid card will likely have an annual fee and an application fee. It's possible to find a secured card with no application fee and a low annual fee, however, so you can start to make meaningful progress on improving your credit. I've reviewed the best secured credit cards for those with bad credit, so take a look! Get a personal loan. You may qualify for a personal loan of up to $5,000, which, when paid back promptly, can help you establish a good credit history. There are even bad credit personal loans available, as well as a calculator that can tell you up-front how much your total cost would be, so you'll know precisely how much you'll need to pay back. Get a credit builder loan. A credit builder loan from a local bank or credit union works a little differently than many other types of loans. With this kind of loan, you don't get access to the funds right away. Instead, the bank or credit union puts it in an interest-bearing account while you make monthly payments on the balance. Once you pay off the balance, you get the cash and the interest, as well as a couple years' worth of reliable payment history to show on your credit report. Become an authorized user of someone else's account. We recommend this avenue only if you and the person you're sharing the account with are responsible for their finances. When you do this, your name becomes attached to their account, so both of your credit histories with that account are tied together. If they mess up their credit, both of you will feel the pain when it's reflected in your respective credit reports. Don't close an old account after you've paid off the card. We understand the thrill of celebration when you cut up an old credit card and throw the pieces in the air like confetti. Except you shouldn't do that. Even after you've paid off the card, keep the account open. Remember that your credit history plays a big role in your credit score. Keeping older accounts open longer (even if you don't have a balance on them) demonstrates to lenders that you have a solid track record of making reliable payments on time, long-term. Even closed accounts can show up on your credit report and be factored into your score, so it doesn't hurt to leave that gold star there for lenders to see! Understanding how credit scores work is just the first step in raising your score and securing your financial future. By following these steps, you won't repair your credit in a day, but you will make real, meaningful and measurable progress toward fixing a poor credit score. 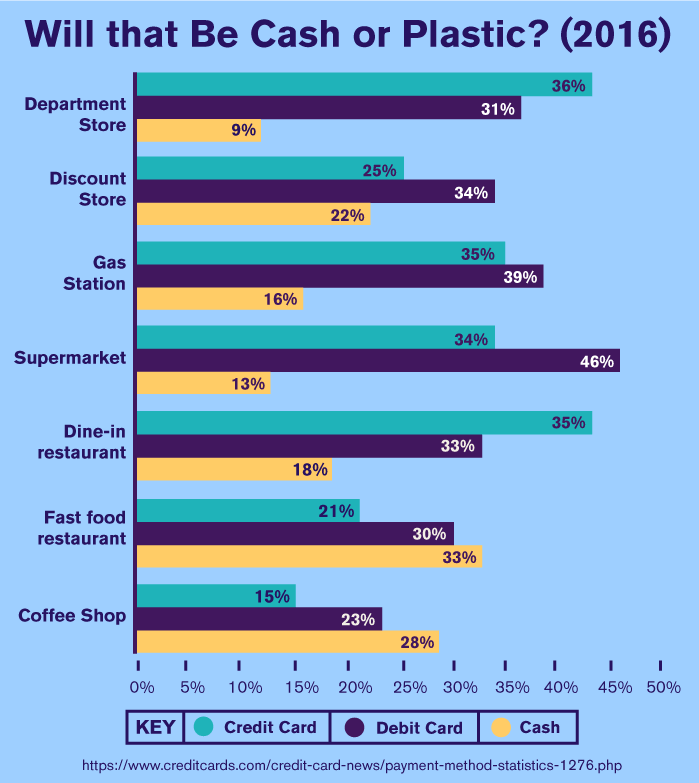 Using this guide will also help you to develop better financial management and good credit habits, all of which will contribute to helping you keep that excellent score well into the future. Have you successfully improved your credit score? How was the process for you overall? Any suggestions or pitfalls to share with the rest of us?